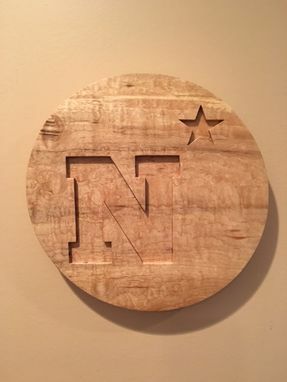 N Star Wood Wall Art. Rare wood, splated birds eye maple. Can be custom made for any college or family name.